Rep some of the baddest Batman movies to ever grace the silver screen! This Batman Dark Knight Rises Batman Rain Black T-Shirt features an image of the Caped Crusader in the pouring rain and punching with the city of Gotham in the background. 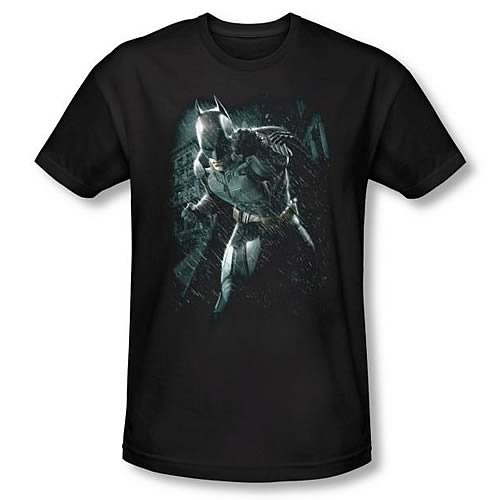 The excellent design of this Dark Knight Rises t-shirt looks awesome and will look great as a part of any outfit.